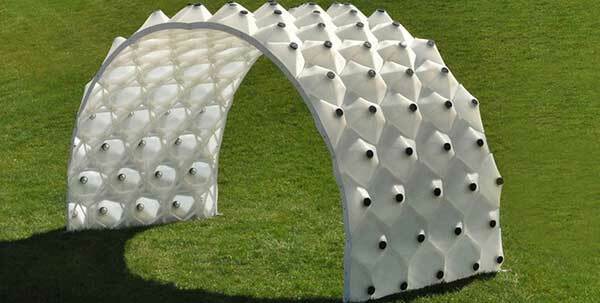 The 3D printing technology and solar energy can form our future for better life by providing solutions to the current design and energy problems faced on our daily life, and one of the projects that facilitate both technologies is the Solar Bytes Pavilion. The project is created by Design Lab, a design studio based on Kent, Ohio. 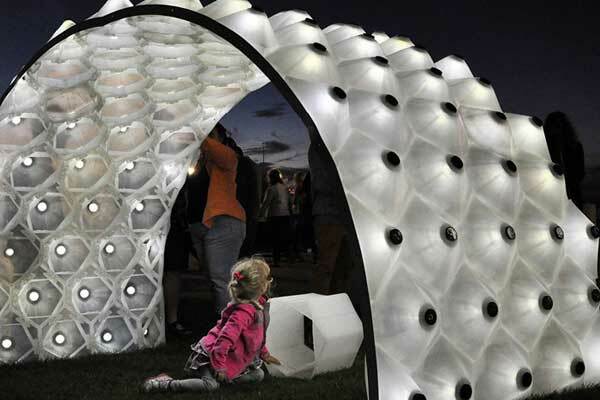 The Solar Bytes Pavilion aims to create an architectural structure that saves the daylight sun energy in the morning and use it to light the space during the night. The 3D printing technology is used to create the block or the bytes, which are 3D printed using an advanced 6-axis Kuka arm robot located in the Robotic Fabrication Lab at the Collage of Architecture and Environmental Design at Kent State University. The 3D printing robotic arm creates 94 blocks that have solar energy cell associated with each block or byte. These bytes are then attached to each other like puzzle, and . Then, this structured is placed in the open space allowing it to exposure the sun light and save it in the solar cells. Each solar cell has a senator to detect the light, so it can light the pavilion when the sun goes down. The block are created from a translucent plastic that allows filtering the sun during the morning to add another feature to the structure so people can stand under it to avoid the direct sun light. 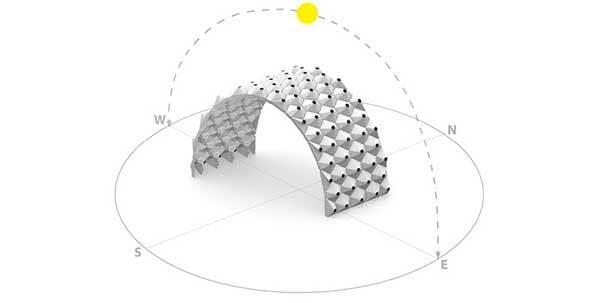 The arch structure of the pavilion allows exposing the sun from 180-degree angles, and each cell is charged independently. If the sunlight does not charge the cells in specific time of the day, the rest of the cells can overcome this by lighting the pavilion at night. The structure alignment with the sun movement. 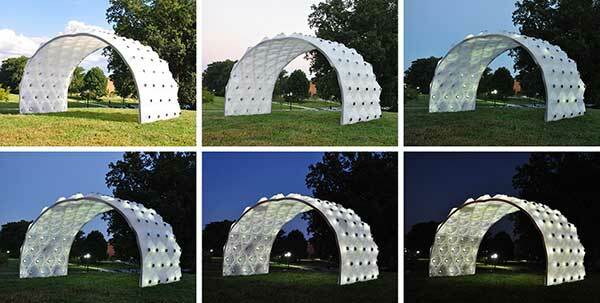 The Solar Bytes Pavilion was installed to Cleveland Ohio as a shading structure and after the sun goes down, the light starts to glue area under it to provide a place where people can meet and set together. The technology was built on a previous experience by Emerging Objects, California studio lab, with a different technology.